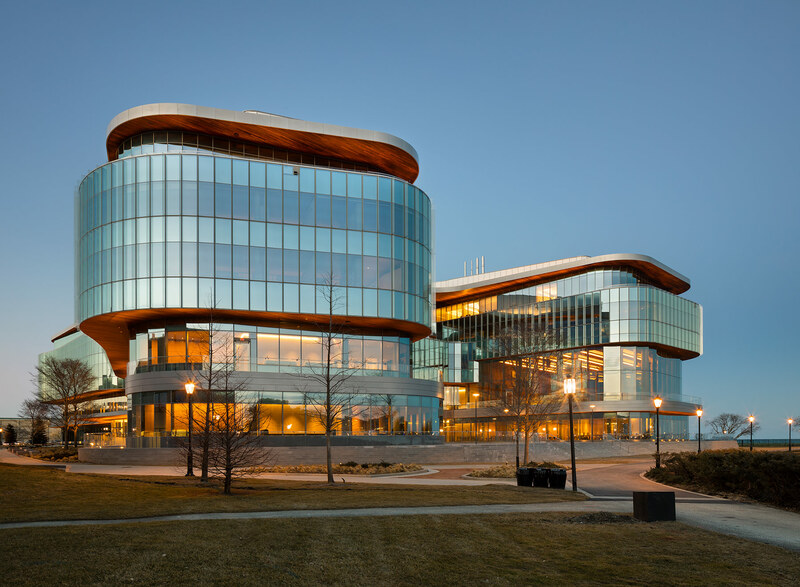 Dubbed the Global Hub, Northwestern University’s latest addition to its Evanston campus is a grand new home to the Kellogg School of Management. The recently opened five-story building sits immediately along the shore of Lake Michigan on land reclaimed by the university decades ago. Defined by four large wings, which produce a plan that resembles the letter K, the curving form of the building makes no small reference to the waves on the water it overlooks. The project is composed of a series of vastly different-sized spaces, accumulating to a whopping 415,000 square feet. The building is the new home to full-time business students, faculty, and administration offices. Collaboration areas throughout can accommodate from two to twenty individuals, and larger gathering spaces can handle from 200 to 2,000. The largest space in the complex is the massive multistory center atrium, where all four wings connect. 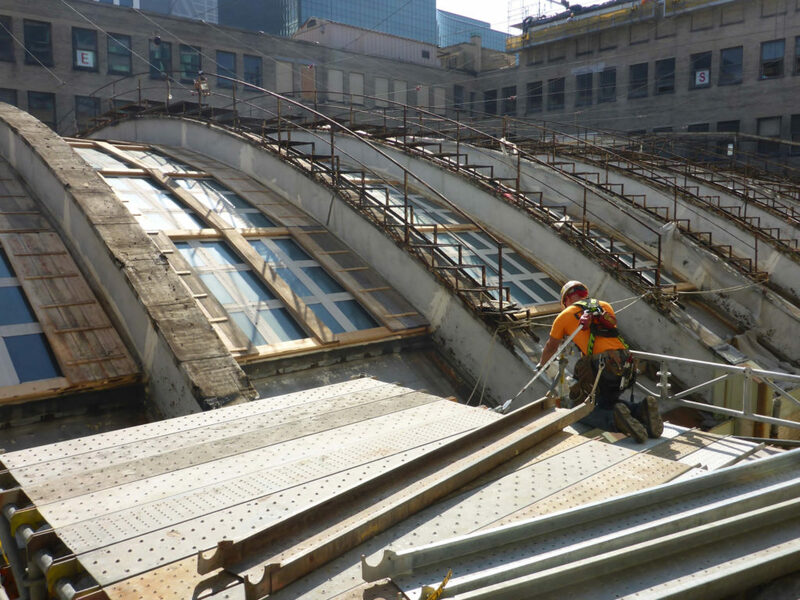 The structure’s exterior curves continue into this space in the form of flowing balconies and staircases. Two of the large wooden staircases at the heart of the building double as seating for formal and informal events. Another atrium on the upper levels acts a second major space. Both allow for copious amounts of natural light. 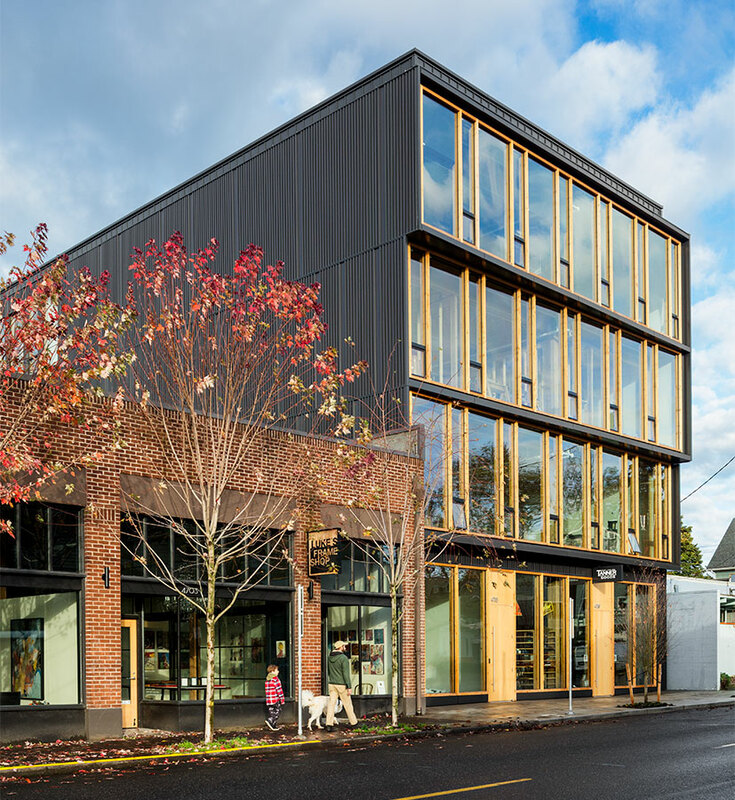 The building’s high-tech envelope not only allows in all of that light, but also contributes to the project’s goal of achieving LEED Gold certification. Throughout, double and triple glazing provide daylight and energy efficiency, while automated shading controls glare and solar gain. A series of undulating fritted glass fins adds an additional layer of shading. On the interior, borrowed light is distributed through glassed office partitions. Perhaps even more than daylighting and energy efficiency, the glass facade provides something the building takes ample advantage of: unmatched views of the lake and the downtown, 15 miles to the south. Called the “Global Hub,” it is part of the University’s larger building program that includes the 2015 Goettsch Partners–designed Patrick G. and Shirley W. Ryan Center for the Musical Arts. Both new additions to the campus run counter to its existing catalogue of Brutalist and gothic-revival structures. 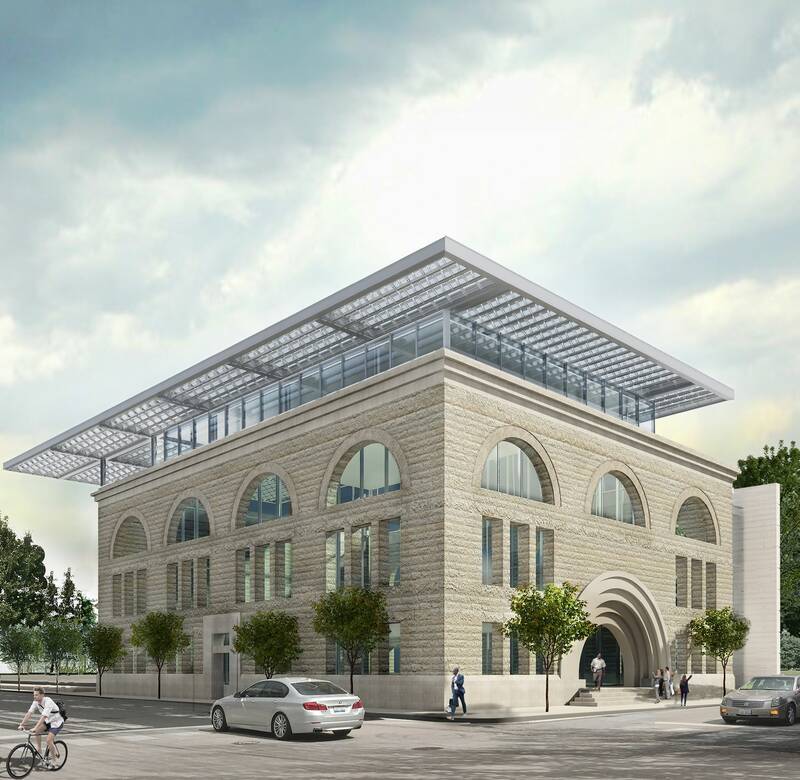 The stark contrast between old and new on Northwestern’s campus is the school’s physical manifestation of its vision for the future of education. And Northwestern is not alone—dark wood–lined halls and oak tree–filled quads are being replaced by brighter, more transparent and generous collaboration spaces at many traditional campuses. It is only a matter of time before the image of the elite campus is less about spires and more about sunlight. 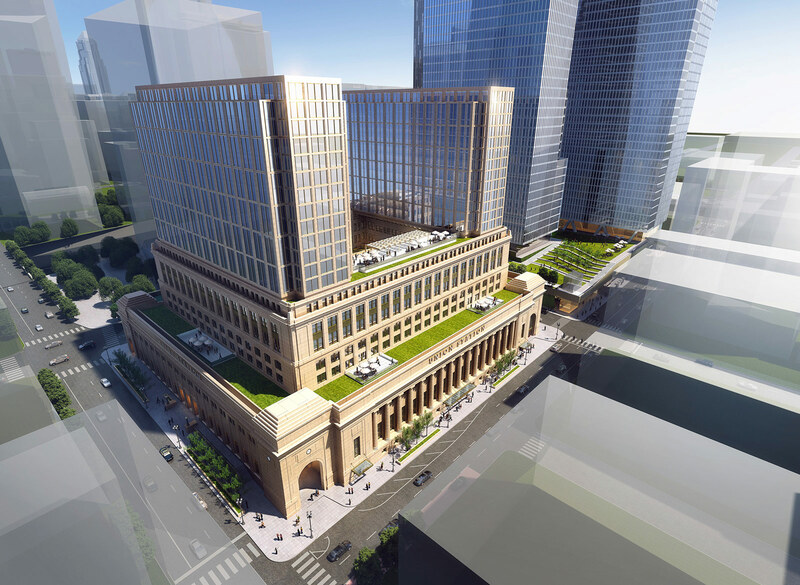 Chicago-based Goettsch Partners has released an extensive set of renderings for 110 North Wacker Drive, a new office tower proposed for a site just across the river from the firm's nearly finished 150 North Riverside Tower. 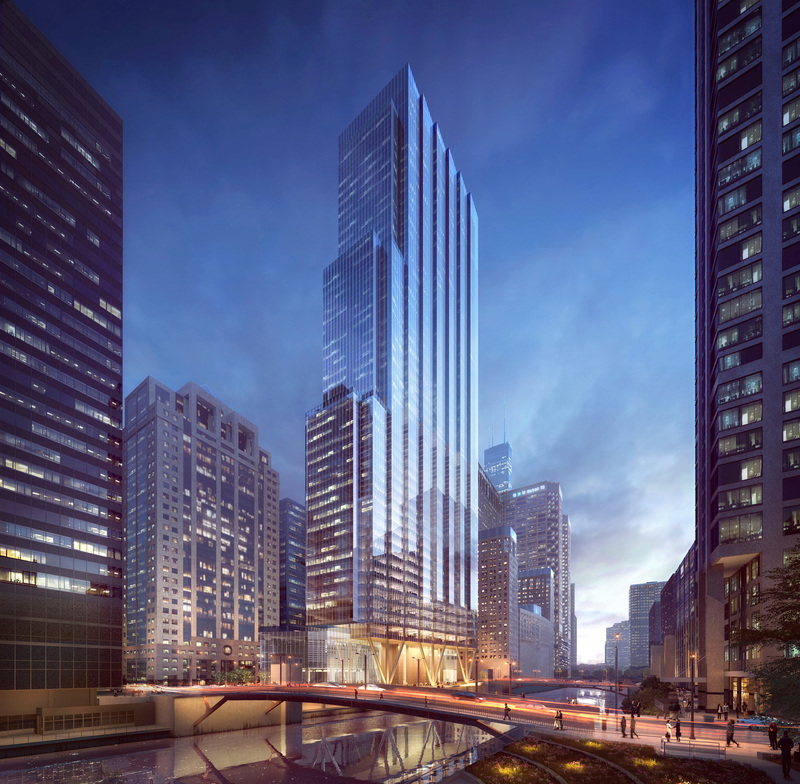 The 51-story 110 North Wacker Drive will rise along the east bank of the south branch of Chicago River, adding 1.35-million-square-foot to Chicago’s financial district. 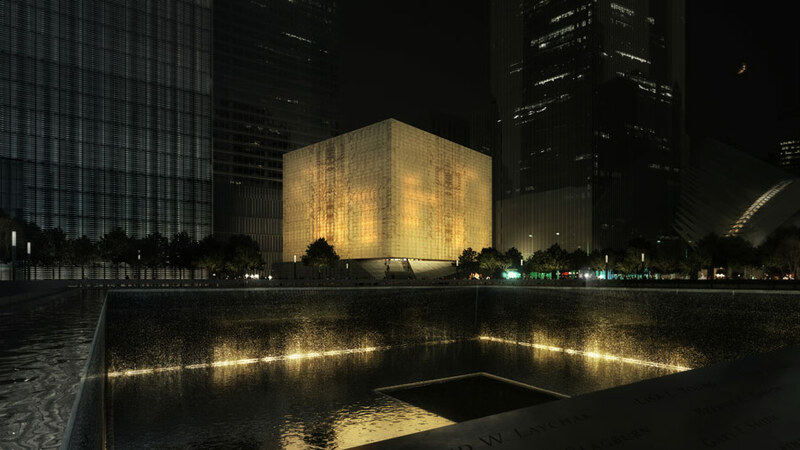 Clad in a sheer aluminum and glass curtain wall, the tower will include one of Goettsch Partners’s signature bases. The tall glassy ground floor is set back from the street and the river, not unlike 150 North Riverside. A serrated facade along the building’s western side will provide views up and down the river for its tenants, while rooftop decks will provide a 360-degree panorama of the surrounding city. 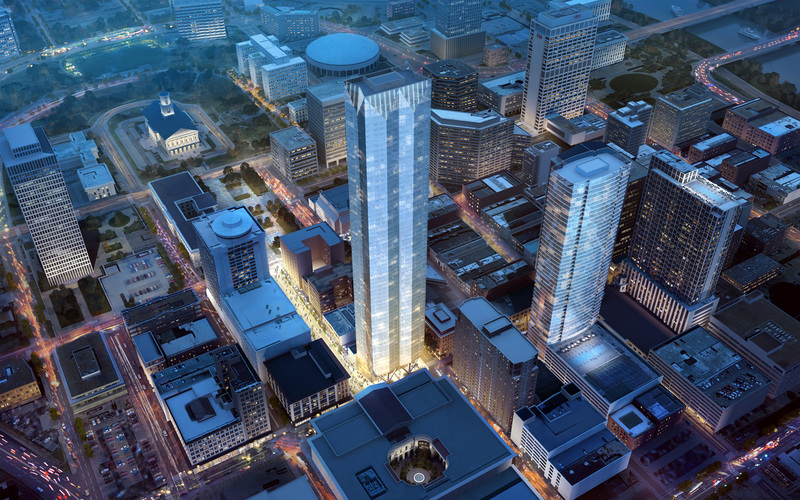 Along with class-A office space, the tower will include retail dining, a conference center, and a fitness facility. 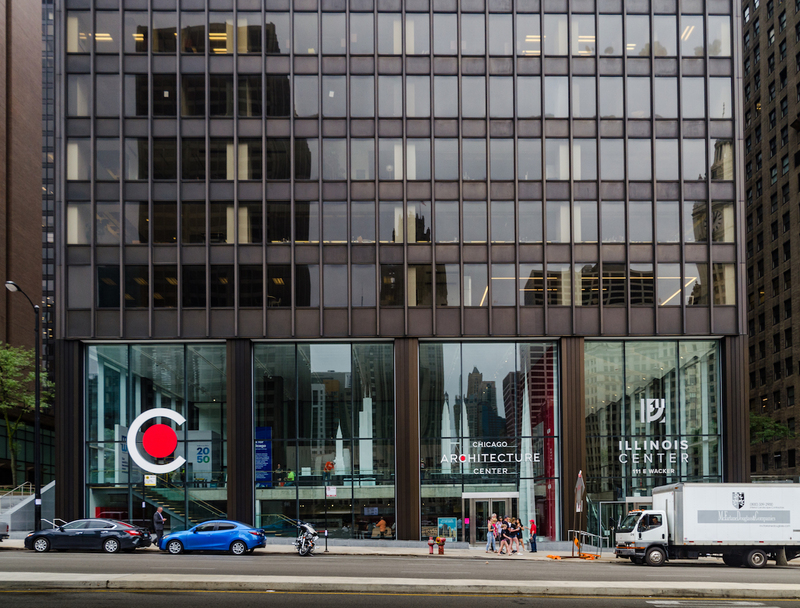 “One of the few office building sites in downtown Chicago bounded by three streets and the Chicago River, 110 North Wacker Drive is the last premier office site in Chicago offering unmatched views of and from the building,” said James Goettsch, FAIA, chairman and CEO of Goettsch Partners in a press statement. 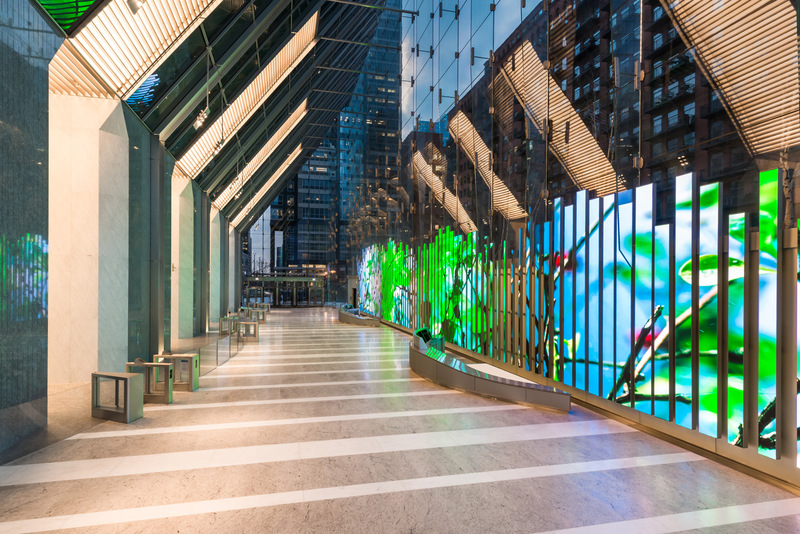 “The site’s trapezoidal shape allows us to provide a series of stepped projections on the western facade, enhancing views up and down the river, emphasizing the building’s verticality, and providing the building with a distinct identity. 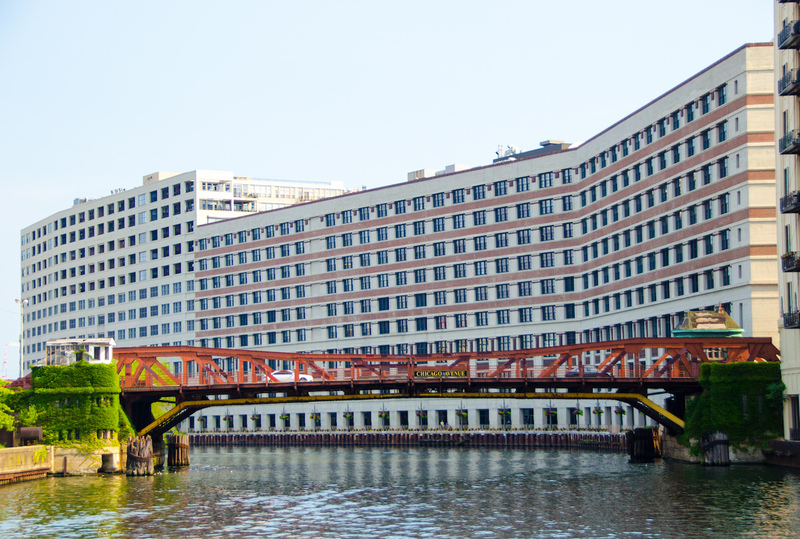 At street level, almost half of the site is publicly accessible and features a soaring covered riverwalk, supported by a distinctive structural design.” To achieve its size, the project paid $19.55 million into the city’s Neighborhood Opportunity Bonus system. This money, which allows developers increase FAR or building height, is then used for community improvements around the city. 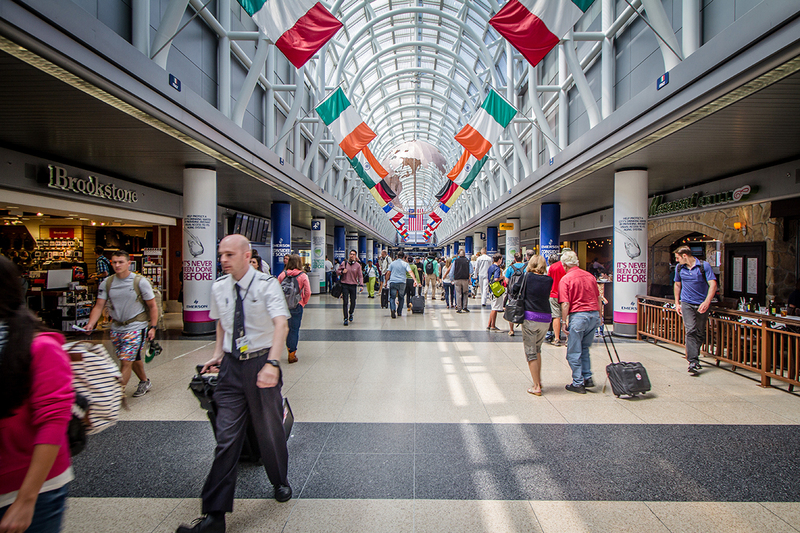 A full 80% of the nearly $20 million will go towards commercial corridor improvements in under-served neighborhoods, while the remaining 20% going towards landmarks around the city and infrastructure in the neighborhood around the tower.